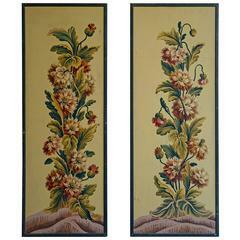 Sorry, Chinese Painted Silk Panel of a Rooster and a Hen is not currently available. 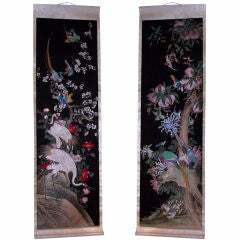 A fine pair of 19th century hand-painted scrolls on paper mounted silk, with images of birds and flowering trees, Chinese, circa 1840. 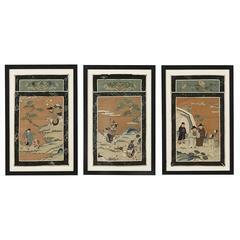 Each of these three very fine Chinese Jiaqing-period silk panels consists of a framed vignette depicting figures in a landscape.